Mowing is now more frequent, usually once a week in most areas, with the grass vigorously growing due to the warmer weather and prior application of fertiliser. Remove worm casts before mowing. Reduce the height of the mower blades to the optimum height for the rest of the mowing season. Too low and you’ll scalp the grass, letting weeds develop, too high and the grass becomes weakened, allowing moss and weeds to invade. 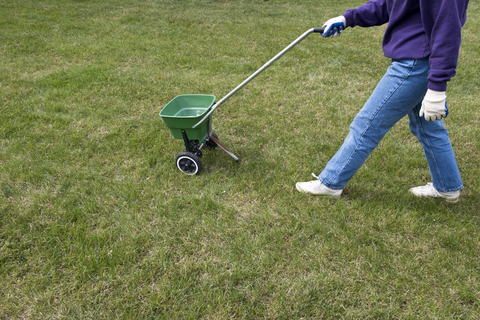 Smooth out any depressions in the lawn by top dressing with fine soil but don’t smother the grass, do it in stages. If you like a striped lawn and have a mower with a roller this will help to both flatten the area and show you where you need to fill. Every home owner wants a lawn that looks healthy and green but this is not always the case. Lawn care whether DIY or by a professional is an important home maintenance.